FastCarDecals is the place to go for your LEAD FOOT HOOD Stripes for 2015 2016 2017 2018 and 2019 Ford Truck F-150 series pickup. This Ford F150 Truck Hood vinyl graphics kit comes ready to install straight out of the box. 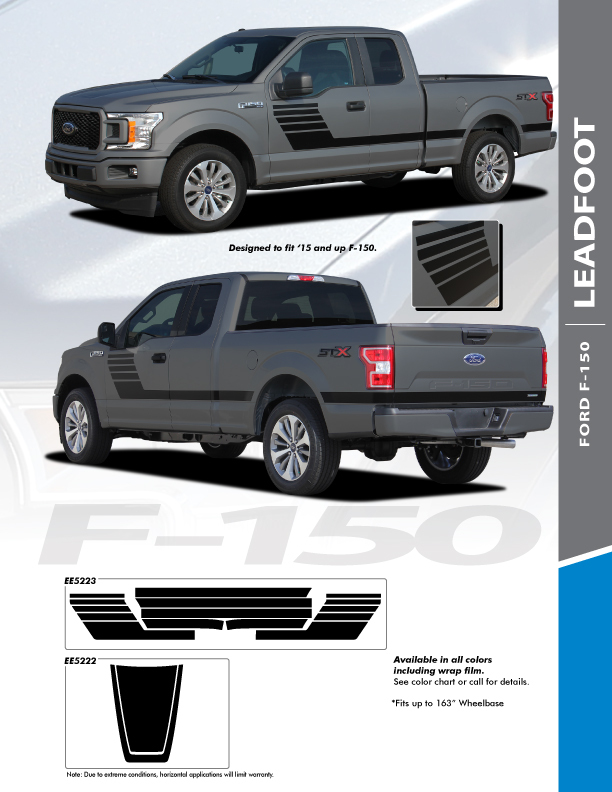 The F-150 LEAD FOOT HOOD KIT side body vinyl graphics and decals kit is designed and manufactured to the highest specification to ensure that you get a hassle free, straight out of the packaging installation, with little or no trimming at all.